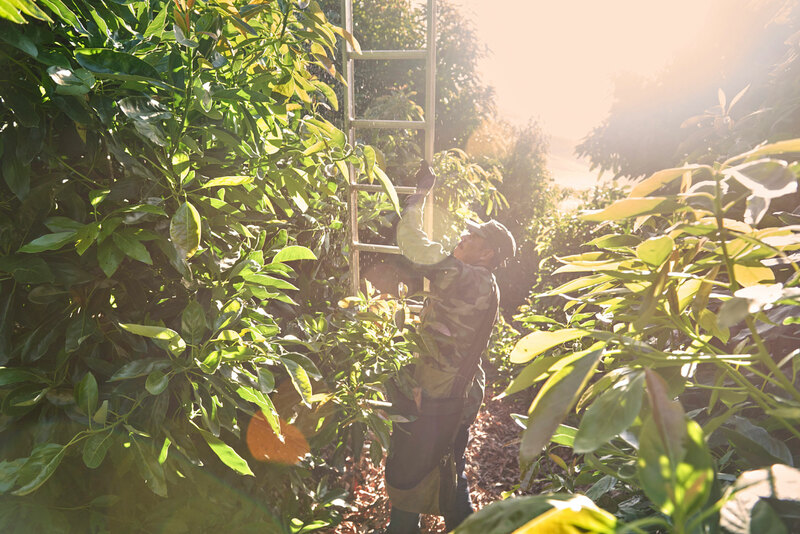 Portrait photography of avocado picker placing a ladder on avocado farm. California landscape photographer specializes in farming photography, agriculture photography, farmland photography as well as portrait photographer. Produce photography.